2017 marks the 90th birthdays of some of Australia's most remarkable horticultural icons. These four enthusiastic gardening people have made a significant and lasting impression and we have looked to them for inspiration, guidance and excellent advice for many years. On 1 April it was Peter Cundall's 90th birthday. Peter with his 'bloomin' marvellous' and passionate, quick, energetic hands-on approach to ABC Gardening's 'The Patch' segment (filmed at the Royal Tasmanian Botanic Garden), made for some pretty impressive television. Peter was born in Manchester and he has often said that his family were 'the poorest of the poor'. This may have been the major driver to his 'messing around in the dirt', supplementing fresh vegetables for the family table. Towards the end of WWII he was conscripted to the British Army and this served as a major break with Manchester, eventually settling in his now beloved Tasmania in 1956. 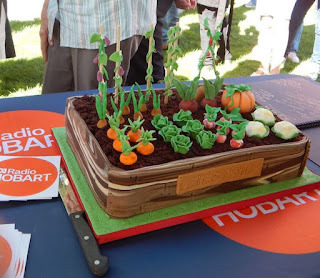 Peter started a gardening and landscaping business in Launceston and was asked to host a gardening talkback program on a commercial radio station in 1967 (this is believed to be the world's first program of its kind). It was in 1969 that he made the switch from commercial radio to ABC Radio and soon after that his debut on our television screens. 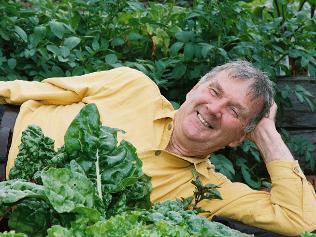 Peter appeared on a gardening program seen each Friday night before the 7pm news in Tasmania. In 1972 the ABC decided to build on this local gardening segment and commenced production of a show called 'Landscape'. This was then expanded from a Tasmanian-only program in 1990 into a national program under the banner of Gardening Australia, Peter was their first anchor host and continued in this role until 2008. 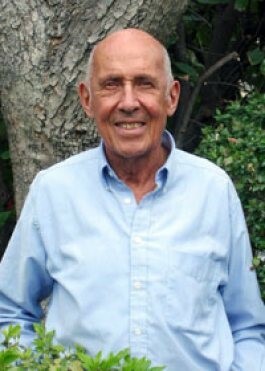 Peter Cundall has received a range of awards and recognition for his work, including an Order of Australia for services to the environment in 2007, an Australian Humanitarian Award in 2005 and in 2009 was named Tasmanian of the Year. Peter was involved in many protests - against the Franklin Dam in the 1970s and '90s and in 2000s he was arrested for protesting against the proposed Tamar Valley pulp mill. 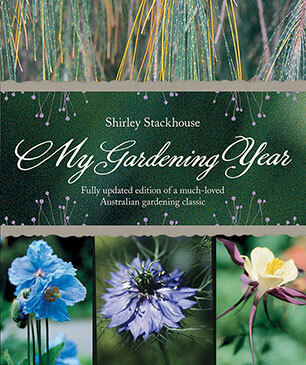 Shirley Stackhouse was born into a nursery-owning family in Brisbane so it is no wonder her life's work revolved around horticulture. Her father and uncles ran the Pacific Nurseries and her Grandfather, George Henry Heers, was a well-known rose grower. Gatton Agricultural College was the only place to study horticulture in Queensland and they only admitted boys, so that wasn't an option for the young Shirley. When she moved to Sydney in 1964 Shirley studied at Sydney's Ryde School of Horticulture (which has an enviable reputation in horticulture training circles) where many of our recognised gurus of gardening studied. 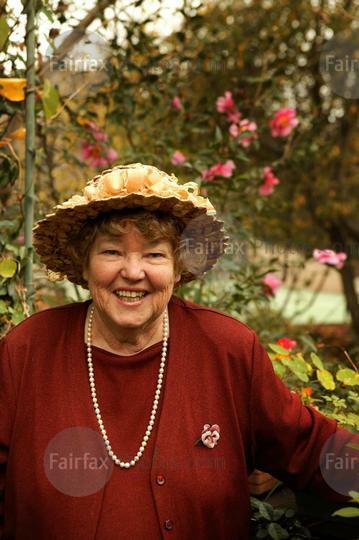 Shirley is known for her writing and illustrating of popular columns for The Sydney Morning Herald and Woman's Day, many gardening books and also as the host of 'Over the Fence' radio gardening show. 'My Gardening Year' is a fabulous book combining beauty with practicality and full of solid, reliable advice, illustrated with photographs and Shirley's own beautiful line drawings. This book is a must for any gardener - novice or experienced as there is such a wealth of information contained in it. Other books by Shirley are: 'The Five-Minute Vegetable Gardener', 'Five Minute Flower Gardener', 'Gardening for Dummies' 'The Australian House And Garden Book of Azaleas' and many more. All very good resources for anyone who loves to garden - or who like to learn! Shirley has been honoured as Horticulturalist of the Year by the Horticultural Media Association and awarded an Order of Australia in 2005 for services to horticulture. Peter Valder's education took him from the University of Sydney to Cambridge and after graduating he went on to become a plant pathologist and mycologist (study of fungi). An office bearer of the Linnean Society (which promotes the cultivation and study of the science of natural history in all its branches) and the Australian Institute of Agricultural Science. Since popularising Australian botany and horticulture he has made many appearances on radio and television, written for magazines, taught biology as a senior lecturer at the Sydney Uni and lectured to organisations concerned with plants and gardens. His love and interest in gardening has taken him to many areas throughout the world following his passion for plants. His family owned 'Nooroo' at Mt Wilson in the Blue Mountains from 1917 until 1992 and during this time they converted an old tennis court into a world famous wisteria garden. This garden contains a collection of 28 standard wisterias ranging in colour from white to deep purple. 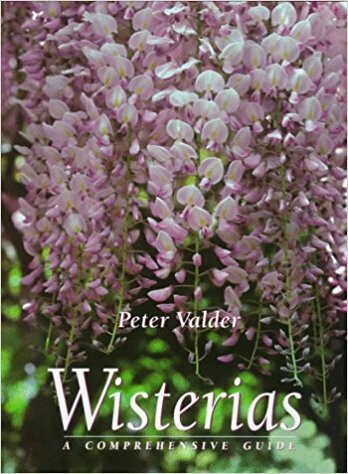 Peter's experience with this collection of wisterias led to his writing 'Wisterias', the first momograph (a detailed written study of a single specialised subject) on this genus in any European language. 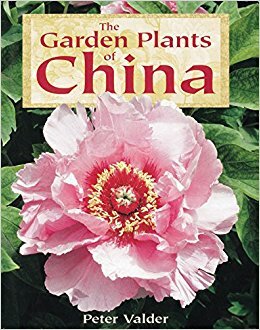 It was the success of this book that encouraged Peter to utilise his long-standing interest in Chinese plants and gardens to write 'The Garden Plants of China' which was awarded as the Reference Gardening Book of 1999 by the Garden Writer's Guild of the UK. This book looks at the huge contribution China has made to our cultural heritage through its cultivated plants - rice, citrus fruits, peaches, apricots and ornamental plants such as roses, camellias, azaleas, gardenias, wisterias, chrysanthemums and magnolias. To recognise Peter's gifts of plants and voluntary work at the Royal Botanic Gardens Sydney, he was made their first Honorary Horticultural Associate in 1995 and a year later was awarded the Medal of the Order of Australia in recognition of his contribution to botany and horticulture. 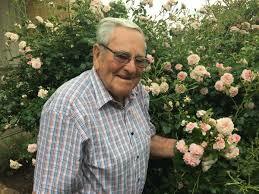 Ben Swane is affectionately know as 'The Legend' within Horticultural circles and deservedly so. He is so inured with all things horticultural that even as a young fella he had his fingers in the dirt. Ben's Dad said he could use some land for whatever purpose he wished and so the young lad started growing vegetables. So successful was he that a local greengrocer at West Ryde purchased vegetables from the 12 year old. Both Ben and his brother Geoffrey, were educated at Newington Collage, Stanmore and Ben often says how he hated every day (most probably interrupted his commercial efforts at home with the vegetables!). Ben came to realise later in life that education is an important tool for life. Swane's Nursery set in place an apprenticeship scheme that was the envy of not only the horticultural, but many other industries as well. There are many of our current horticultural specialists who had their grounding at Swane's Dural nursery. The Swanes were all involved (and successful) in the horticultural industry - Valerie, Geoffrey and Ben and all had solid work ethics. His contribution to the Nursery industry has been immense, serving on boards of the Nursery and Garden Industry Association and the Royal Agricultural Society of NSW for many years, attaining life membership of both. He is valued for his eminent body of horticultural knowledge and industry experience. For many years he has been advising the Australian Citrus Propagation Association, the Elizabeth Macarthur Agricultural Institute, the NSW Department of Industry and Investment, Plant Breeders' Rights Committee with the Department of Primary Industries and the International Plant Propagators' Society. He is a long serving member of Rotary and served for three decades as a district co-ordinator for the Red Shield Appeal. Widely acknowledged for his vast specialised horticultural knowledge and one of Australia's most accomplished rose growers, Ben's special gift is as an educator. Whether advising the novice gardener as a radio commentator with his quick wit, or speaking at gardening forums or conventions, his ability to engage the practical gardener in a calmly informative, yet accessible manner is unparalleled. When you ask Ben what is his most proud achievement? He responds, firstly my family and then the successful breeding and commercial success of a pencil pine 'Swanes Golden' Cupressus Sempervirens Stricta. This tree was patented in the USA for 20 years and was a huge success for Ben. Over the years Ben has been recognised for his contribution to the horticultural industry: Department of Primary Industries awarded Ben in 1995 the Plant Breeders' Rights Registrars Award for recognition of his outstanding vision and contribution. In 2005 Ben was the recipient of the Graham Gregory Award for research and development in Australia. 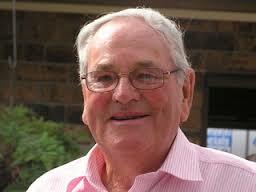 In 2008 he was awarded the Waratah Award, from the Nursery and Garden Industry NSW and ACT Ltd and lastly in 2011 he was awarded a Member of the Order of Australia for services to horticulture and to business, to the development of the Australian native plants export trade, and through executive roles with a range of industry based organisations. Now you know why he has the tag 'The Legend'. In conclusion it has to be said that 1927 must have been an excellent year for babies to have a connection with mother earth. All of these four people have made awesome contributions and have worked until they were in their 80s. They are all still valued for their guidance and advice to the horticultural industry and devoted gardening enthusiasts.